Businesses and property owners in Chicago and the collar counties are subject to assessment from an array of government bodies. Such assessments are critical to determining your level of taxation, and an assessment that is too high can severely affect the bottom line. The law offices of Gordon & Pikarski is a Chicago firm that has worked to protect clients from over assessment and prohibitive taxation for more than 50 years. Their lawyers represent clients before governmental bodies so that tax assessments reflect an accurate value of the property in question. The Assessor level — The Assessor’s Office is the most basic level at which a decision can be changed. The assessor’s offices in Illinois divide property by its usage, including vacant land, residential property, large apartment buildings, not-for-profit and industrial/commercial use, and assigns different rates for each. The Board of Review — The County Board of Review is a quasi-judicial body that is independent of the County Assessor’s Office. If a constituent is dissatisfied with a re-assessment of the property in question, an appeal can be filed with the Board of Review. The Illinois Property Tax Appeal Board — The Illinois Property Tax Appeal Board handles appeals following the Board of Review stage. Appeals before the board must be based on either an assessment outside of the property’s fair market value, a lack of uniformity in the neighborhood assessment or an error in the use of a township multiplier by the local assessment board. In certain situations, an assessment may also be challenged in a local district court. Such actions are known as specific objections. State and federal tax codes are complex and ever changing. It is important to have professional assistance when trying to stay ahead of changes in tax law. Illinois provides exemptions from state and local tax requirements if several criteria are met. Organizations that are exclusively for a charitable, religious, educational or governmental purpose can be excluded from tax requirements. An experienced real estate attorney with Gordon & Pikarski can assist in securing such a release. 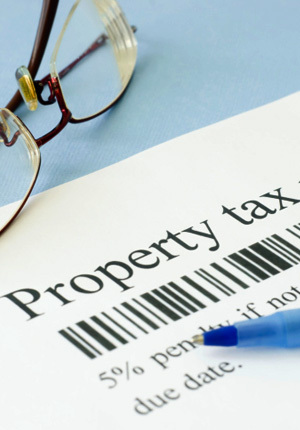 The law offices of Gordon & Pikarski is a boutique law firm that supports the real estate taxation needs of Illinois residents. Their lawyers have a hundred years of combined experience finding solutions to the real estate and property tax problems that face Chicago and the Collar Counties. To speak with an attorney regarding options for your business, call 312.782.9351 or schedule an appointment online.